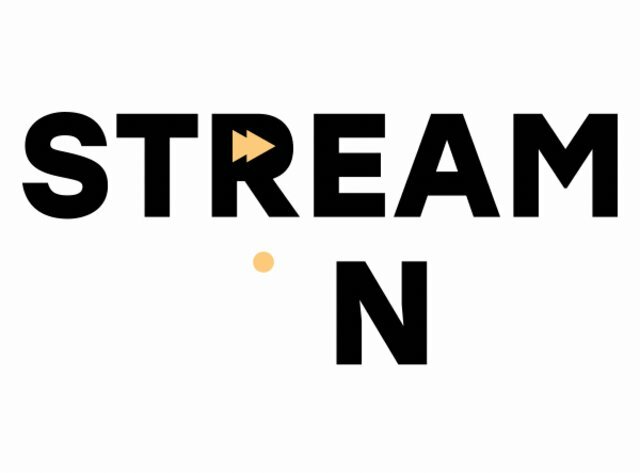 In 2015, Nickelodeon announced it was sending more than a dozen titles to Hulu. The roster, which now includes shows like Rugrats and Jimmy Neutron, spans nearly 30 years of TV. 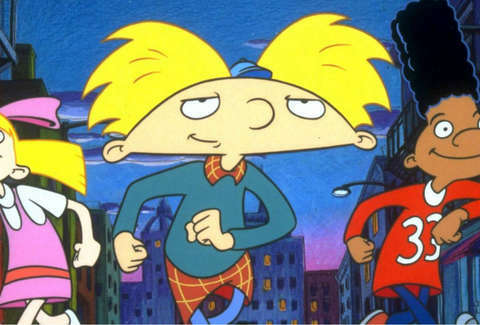 If you find yourself with a case of the nostalgias, we've gone through the streaming service's library and pinpointed the six best Nicktoons from your childhood that you can -- and, honestly, should -- rewatch. Remember what it's about? 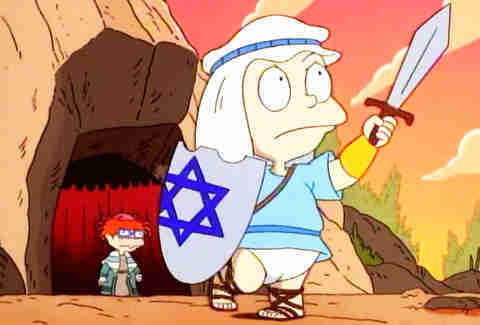 Preteen Doug Funnie moves with his family to Bluffington, home to quirky characters and slippery ketchup packets galore. Why it's still good: It looks (and feels) like Charlie Brown relocated to the Yellow Submarine world. Doug's quests to win the heart of Patti Mayonnaise, fit in, and not become King Goofus are evermore relatable. Fred Newman's scatting and Quailman still rule. Remember what it's about? A fourth-grader deals with growing up in a big city, living in his grandparents' boarding house, and having a football-shaped head. Why it's still good: Creator Craig Bartlett, who worked on Rugrats, fleshes out the characters and world in a way that rivals the kooky, immersive playground of Bob's Burgers. 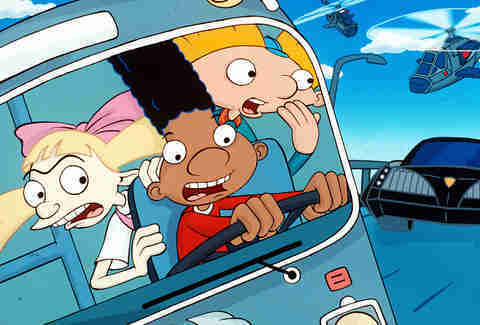 Like a couple other shows here, Hey Arnold! comes chock-full of jokes that probably went over your head as a kid, a fact that makes rewatching rewarding. Also: greatest bedroom of all time. Why it's still good: Tightly crafted episodes. A vicarious sense of responsibility-less freedom. The horrors of forgetting your inner child (thanks, Drew and Charlotte). Chuckie Finster. Music by DEVO's Mark Mothersbaugh. Bizarre, convoluted theories. You have to try hard not to love this classic, which has aged like your favorite childhood blanket. Remember what it's about? A tiny alien from planet Irk is sent to Earth, ostensibly to take notes for his vertically gifted leaders. 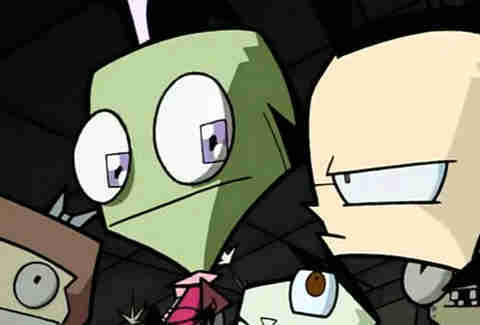 Why it's still good: Though Zim came from Jhonen Vasquez, the same beautifully twisted mind behind Johnny the Homicidal Maniac, the toon manages to hold off on graphic violence and obscenities without losing all its bite. The spastic E.T., along with the world around him, capitalizes on cheeky, masochistic, and random humor in ways viewers of all ages can appreciate. Remember what it's about? Forced to go to a school leagues behind his genius, Jimbo finds that his bright ideas often attract more problems than perks. Why it's still good: You'll probably dig the goofy visual gags more now. The inventions are weird in the best way (remember book gum?). The video-game-style animation helps this show's physical comedy shine. 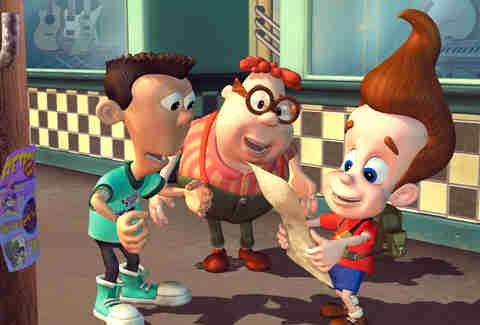 The lovable idiocy of Carl and Sheen never gets old -- if you're a fan of the latter, Hulu also offers Planet Sheen, the airheaded jokester's spinoff that takes place "Four Million and One Light Years from Earth." Why it's still good: It features a top-notch voice cast (including Ron Perlman and Martin Mull!). 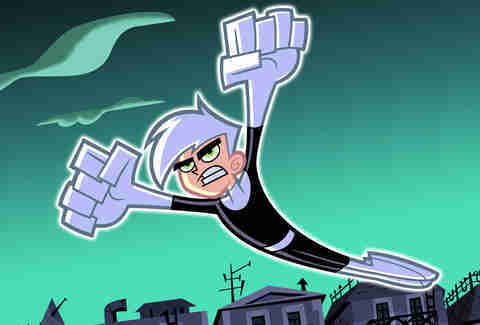 It was created by Butch Hartman, the same guy behind The Fairly OddParents (which is sadly not on Hulu, but just had a crazy crossover moment you need to see). It has one of those retro theme songs that unpacks the premise in less than a minute. And, it comes with hilarious mid-2000s references and great superhero genre winks -- after all, this show is essentially what you'd get if you mixed Teen Titans with the worst Ghostbusters of all time.